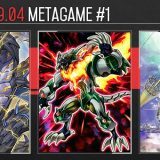 Welcome to Week #2 of the OCG 2017.10 format. The largest Yu-Gi-Oh! 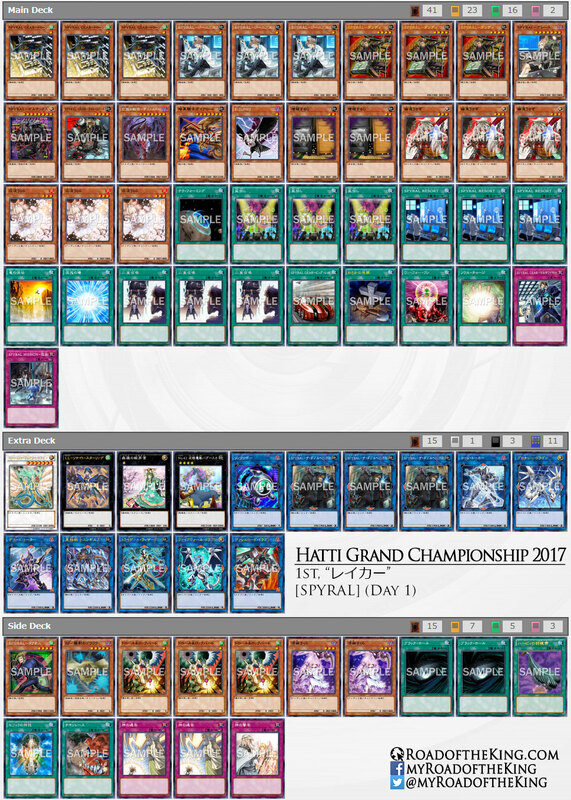 tournament in Japan, Hatti Grand Championship 2017, was held over this weekend, causing significantly lesser tournaments to be ran in the same weekend. As such, the numbers for this week is heavily skewed by the results from Hatti CS. 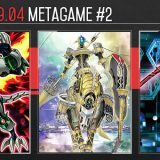 This report will cover 39 top-performing decks from 3 tournaments that were held in Japan during 8 – 9 October 2017. The Hatti Grand Championship is an annual non-sanctioned tournament organised by Hatti. Only players who have earned their invitation by finishing in the top placing at a “Hatti CS” or “with Hatti CS” tournament can participate in the Hatti Grand Championship. Hatti Grand Championship 2017 employed the above tournament format. On Day 1, a player needs to win 2 matches in the 1st Stage to proceed to the 2nd Stage, and then win another 5 more matches to make Day 2. The matches were conducted in the regular best-of-3 series. On Day 2, before the start of the rounds, players were allowed to change their deck by resubmitting their deck list. The matches were conducted in a best-of-5 series. Duel 1, 2 are played with the default Main Deck, and Side Decking is only allowed for Duel 3, 4, 5. There is no time limit. 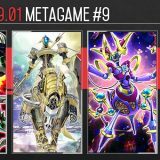 Despite being a non-sanctioned tournament, the Hatti Grand Championship 2017 is the most competitive Yu-Gi-Oh! 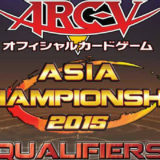 tournament in Japan, attracting the best competitive players from all over Japan to gather in one weekend. 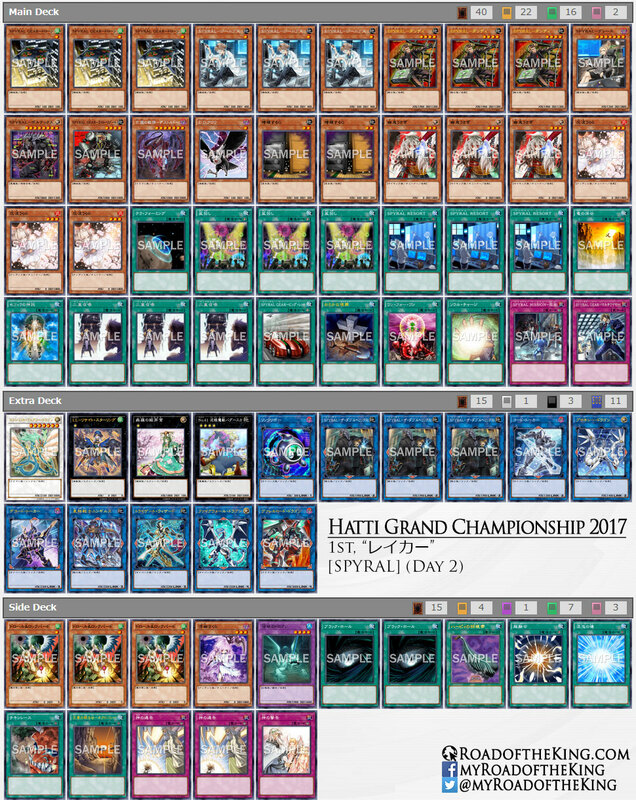 Featured this week is the champion of the Hatti Grand Championship 2017 – Raker’s (レイカー) SPYRAL deck. 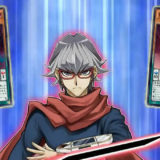 The most significant difference in his SPYRAL deck is the lack of Machine Duplication, and instead were 3 Double Summon. His rational for choosing not to run Machine Duplication is due to its vulnerability to “Hand Traps”. Maxx “C” can be easily chained to the activation of Machine Duplication, netting the opponent a card draw. But against Double Summon, the opponent would have to preemptively activate Maxx “C”, netting the opponent a -1 card advantage. Machine Duplication can be negated by Ash Blossom & Joyous Spring, while Double Summon will not. 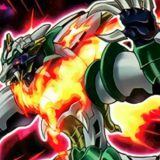 Double Summon does have its bad point of being unable to combo with SPYRAL GEAR – Drone, but he reasoned that with so many methods to search for SPYRAL Quik-Fix, those cases will be uncommon. 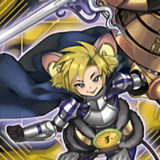 He has also teched in a copy of Lord Gaia the Fierce Knight. 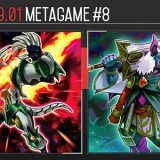 Running Lord Gaia in the deck allows him to activate the Gateway to Chaos given to him by the opponent and thus breaking out of the Set Rotation lock. 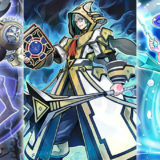 Lord Gaia could then be Special Summoned and be used for a Link Summon. 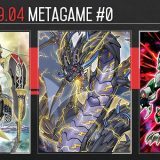 To counter his opponent that are running Lord Gaia as well, he had an Oracle of Zefra in his Side Deck, ready to be swapped with Gateway to Chaos for the mirror match. For Day 2, he had made some minor adjustments to his deck. 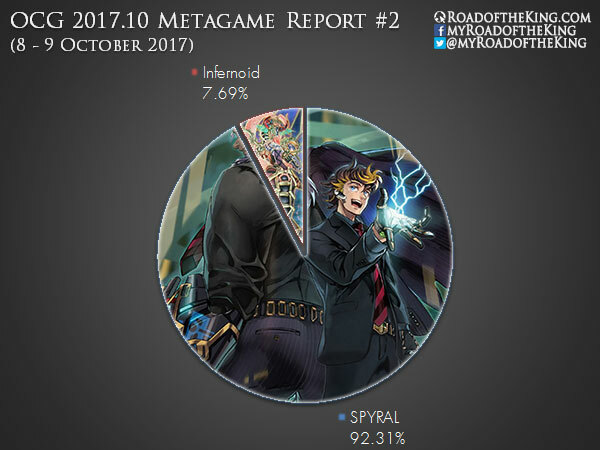 Since the Top 29 decks were revealed at the end of Day 1, he knew that there were 27 SPYRAL and 2 Infernoid decks going into Day 2. 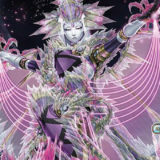 As the bulk of the players are SPYRAL, and some were running Lord Gaia the Fierce Knight too, he switched Oracle of Zefra into the Main Deck and Gateway to Chaos into the Side Deck. Expecting that the other players will be switching to Oracle of Zefra as well, he cut Lord Gaia from his deck. For the Side Deck, he reduced Ghost Reaper & Winter Cherries to 1 copy. He found Ghost Reaper to be underwhelming since it is only useful if you draw them in your opening 5 cards when the opponent goes first. And even then, you do not want to be drawing into more than 1 copy. 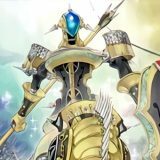 Raker (レイカー) has written a comprehensive article about his SPYRAL deck on his blog – スパイラルについて. I have only summarised some of the interesting points in his card choices, but there are a lot more about his deck building thought process and playing style. Unfortunately the article is written in Japanese, but if you could understand Japanese, I would strongly recommend reading it. 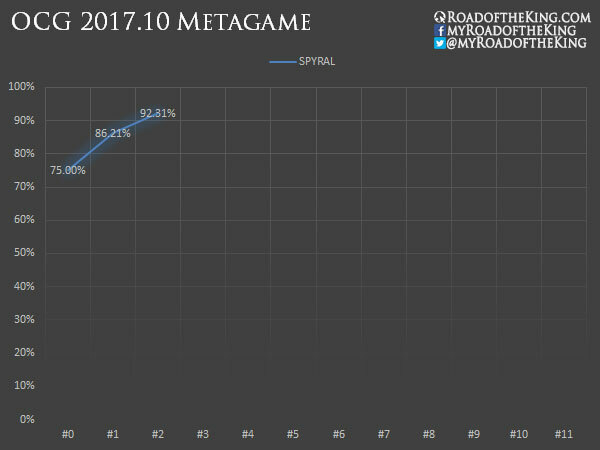 It is an informative insight into the mindset of a high-level competitive Japanese player on the plays and counter-plays of the SPYRAL mirror match. The current competitive scene is a 1-deck format where almost everyone plays SPYRAL and tries to perfect the mirror match. It might be boring due to the lack of diversity, and excessive mirror matches. 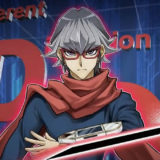 But with the sheer amount of competitive players playing and polishing the deck, the SPYRAL deck is evolving and being optimized at an incredible pace. The combos are continuously being refined to be more consistent and resilient against disruption. On a closing note, do not read too much into this week’s percentages. The sample size is barely sufficient and the poor sample diversity undermines the validity and reliability of the distribution. Just curious on why he decided to main Ghost Ogre instead of the other hand traps (Winter Cherry & Droll Lock Bird). Ghost Ogre is a hand trap we have not seen in any of the previous lists featured, so I was wondering how it fares up against Spyrals. ghost ogre destroy quick fix, but if the spyral player searched for the monster reborn of spyral archetype, it doesn’t nothing. Is the reason why Infernoid sees play because of the Grass advantage against SPYRAL? 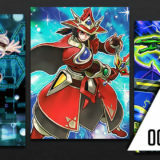 future fusion is at 2 in the ocg. I don’t think so. Grass has been cut from multiple Infernoid builds in favor of the subterror negation engine with 40 cards. I’m not too sure why this is so tho so if Akira can enlighten us that would be fantastic.